Whenever I setup a new Android phone, I typically dive through the super long list of apps I have previously downloaded under the “All” section of Google Play. Since I never take the time to delete the apps I’ll never use again from that list, I get a very detailed timeline of myself as an Android user, remembering times when all of these apps were brand new titles on the Android Market back in the day. For today’s #TBT, I’d like to share the first five apps I ever installed on my “OG” DROID all those years ago. Kellen will be sharing his, too. Looking over the lists, you get a real sense of where Android was back in late 2009 and early 2010: extremely young. For me, I installed Astro for all of my file managing needs, Myspace to manage my personal and metal band’s profile, a terminal emulator because I thought owning an Android device made me a computer hacker, and Flash Player because that was still a thing. The other app I had installed was Ethereal Dialpad, which is still usable, and is actually still very awesome. Using your finger, you can create tones and different colors on the display. Little kids, such as myself, love it. Kellen’s list is a bit more realistic in terms of an average consumer. There was no official Twitter app, so he had UberSocial, Pandora (since it was the only real music service back then), WiFi OnOff because system toggles in the notification shade weren’t yet available (there was a system toggles widget), and Huffington Post because Google Now wouldn’t be around for a few more years. 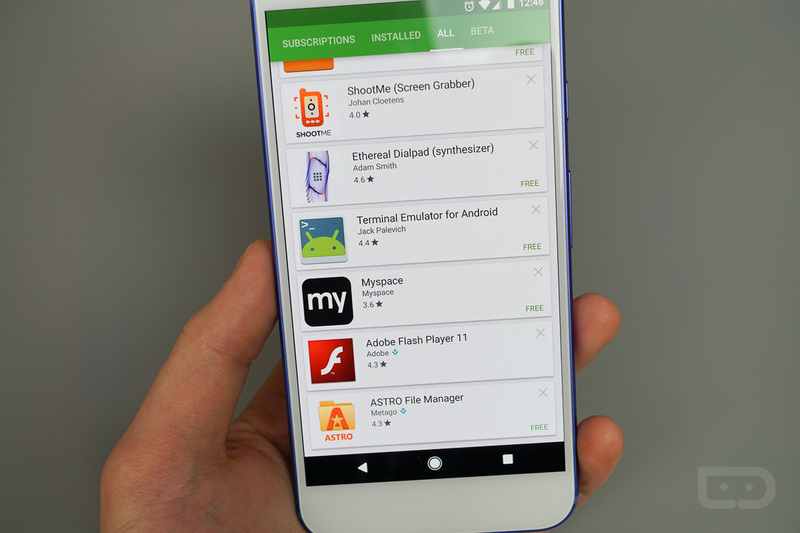 Share your first five Android app downloads below. Don’t worry, we don’t judge here. Playstation Vue Lands on Android TV!